So, having a child with serious mental health blessings can and does cause a lot of stress. How does one handle the stress? Now, add to that idea, major health issues in one parent that react very negatively to stress. 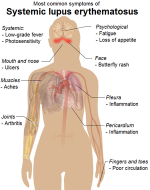 I have Systemic Lupus and Fibromyalgia. I have other health concerns, but those are the biggies. As a result, I need a lot of rest. Because I have a child that has decided to force himself to vomit his meds up, I don’t get the normal 8 hours of sleep that others get. In order to combat the obvious health toll, I take frequent breaks. It helps to have supportive family members. It helps also to have committed agencies that support the family unit through mentoring services and respite care. Still, it takes a huge toll on the health. I used to participate in a weekly writing prompt. But had to forgo that lately because of the large amount of time and energy that David is taking. « Do special needs kids enrich parents’ lives? Pingback: forty hours and it’s affect on my health | Why Not Fathers?